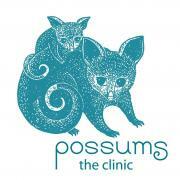 The Possums Clinic first offered clinical services in 2011 - 2012 at UQ HealthCare, Annerley, Brisbane. We then opened our doors independently at Highgate Hill, Brisbane, from April 2013 until October 2017. In October 2017, our charity entered a partnership with a private business. That partnership ended after six months, in April 2018, and the Possums Clinic relocated. It now operates out of the Possums Education and Research Centre, Greenslopes, Brisbane. The charitable organisation Possums for Mothers and Babies Ltd (PMB) has licensed and will continue to license, groups or organisations the rights to use the Possums Intellectual Property (Neuroprotective Developmental Care NDC or Possums programs), including the name The Possums Clinic, under strictly protected conditions. These conditions always include appropriate use of our logos in association with any public use of the name, including links to our website, resources, and our evidence-base, and also include conditional time constraints designed to maintain program and brand fidelity, so that the Possums name is only ever associated with the highest calibre care for new families. If those conditions are not met, the licence will be withdrawn. A Possums Clinic comprises only NDC Accredited Practitioners (one or more), individually approved by PMB. Each authorised practitioner has completed the Certification workshops, the Masterclasses, and an NDC Accreditation Pathway that includes clinical observation, regular participation in case discussions, and an examination process, before becoming NDC Accredited. We hope that in time there will be many Possums Clinics, embedded in other clinics or standing alone, transforming the care that new families receive!